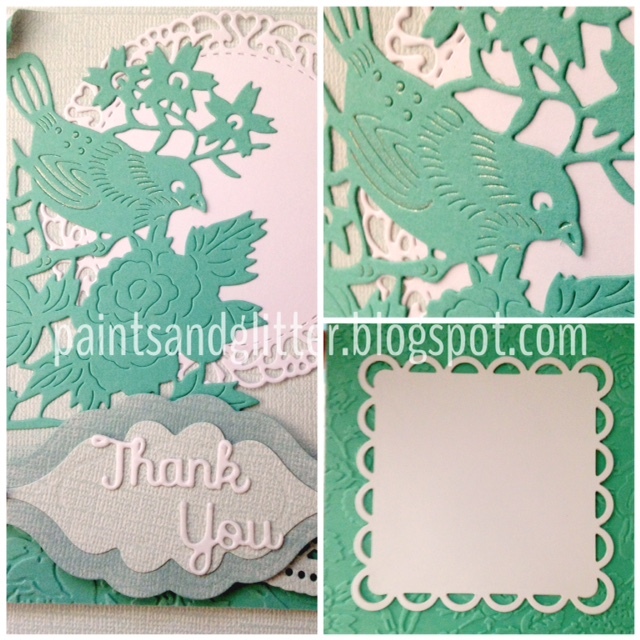 Cricut Explore Air 2 Thank you card and project share! Thank you for stopping by! It's been a while since I've updated my blog, but I've been busy working on some great projects! In this post, I share some details on a few cards I recently made. They are so adorable and can easily be made with the Cricut Explore Air2 as well as other dies and materials. For this card, I used a Banner from Lori's Garden, and added the Happy Birthday Sentiment with the Print-and-Cut feature, and flowers from Creativebug. All other dies are from my stash. I used I used Four legged Friends and Lacy Labels for the Chihuahua Thank you card, and for the sentiment I used the write-and-cut feature. I also added Recollections Washi tape to certain elements and Ranger Liquid Pearls, as well as sequins to make the flowers sparkle! 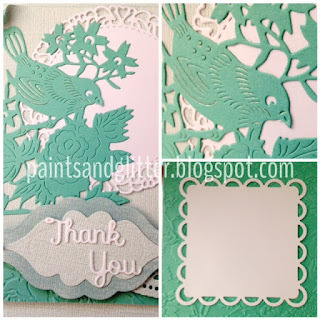 This card was made with Anna Griffin's Aviary Embossing folder, as well as Spellbinders dies, and dies from Ali Express. I hope you like these, and while you're watching, please like and subscribe!